Many young males have sued Janssen Pharmaceuticals, claiming that their use of Risperdal caused them to develop gynecomastia, a condition involving excessive breast development. The plaintiffs were under the age of 18 when the drug was prescribed. Their cases have been consolidated in the Philadelphia Court of Common Pleas. The claim of a plaintiff with the initials W.C. went to trial in 2015. The jury returned a verdict in favor of Janssen. On appeal, W.C. argued that the trial judge erred by admitting certain testimony of expert witness. The Superior Court of Pennsylvania agreed with part of W.C.’s argument. The court reversed the judgment and ordered a new trial. Janssen Pharmaceuticals developed risperdone as an antipsychotic medication. The FDA approved its use to treat schizophrenia in adults, and Janssen marketed the drug as Risperdal. The drug was later approved to treat schizophrenia in adolescents, and to treat certain symptoms of autism and bipolar disorder in both adults and children. When Janssen was testing risperdone for use in an adolescent population, it discovered a potential link between the drug and gynecomastia. When Risperdal was first approved for a juvenile population, Janssen added a warning to its product label concerning that link. Long before the warning was added, and before Risperdal was approved for use by children, W.C.’s doctor prescribed the drug to W.C. to treat his attention deficit disorder and related conditions. At the time, W.C. was six years old. Doctors have authority to prescribe drugs for “off label” uses, but drug companies may not market drugs for any use that has not been approved by the FDA. W.C. began using Risperdal in 2002 and discontinued its use in 2007. At some point between 2006 and 2008, W.C.’s mother noticed his abnormal breast development. W.C. sued Janssen. The trial court dismissed some of his claims but allowed the case to proceed to trial on his negligence claim. W.C. contended that Janssen was aware of the risk that Risperdal could cause gynecomastia in per-pubescent male patients but negligently failed to notify doctors or the FDA of that risk. The jury found that Janssen was negligent for failing to warn prescribing physicians that gynecomastia is associated with Risperdal use. 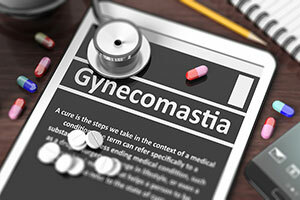 However, the jury found that Janssen’s negligence did not cause gynecomastia in W.C. The trial court therefore entered judgment for Janssen. Janssen argued that W.C. developed breasts because he was obese. Janssen attributed W.C.’s breast development to his rapid weight gain after 2013. To prove that his breast development was caused by Risperdal, W.C. offered the expert testimony of Dr. Mark Solomon. Dr. Solomon demonstrated his physical examination of W.C. to the jury and explained why the amount of breast tissue he discovered was associated with Risperdal use. He characterized W.C.’s breast tissue as being the size of tennis balls. He opined that Risperdal caused the breast growth well before 2013. W.C. visited an emergency room for chest pain in 2013. Medical records of that visit made no mention of gynecomastia. Dr. Solomon testified that a chest pain examination would not necessarily have discovered that W.C.’s breast tissue had grown to the size of tennis balls. Janssen offered a number of defenses, including a denial that Risperdal is associated with gynecomastia despite placing a warning to that effect on its product label. Relevant to this appeal, however, was Janssen’s evidence that W.C. did not suffer from gynecomastia. Janssen presented the testimony of Michele Baker, a physician’s assistant who treated W.C. between 2005 and 2013. She opined that W.C.’s breast development was caused by his rapid weight gain. Janssen also presented the expert testimony of Dr. Adelaide Robb and Dr. Mark Moltich. Both doctors testified that breast tissue the size of tennis balls should have been noticed during the 2013 emergency room examination for chest pain, yet medical records did not make note of “tennis ball size breasts” during that examination. Dr. Moltich also testified that Risperdal could not have caused gynecomastia in W.C.
On appeal, W.C. challenged the testimony of Dr. Robb and Dr. Moltich that Risperdal could not have caused his breast development because he did not have “tennis ball size breasts” in 2013 when he was examined for chest pain. W.C. argued that there was no factual basis for that testimony and that the testimony went beyond the contents of the witness’ expert reports. The appellate court noted that experts must base their opinions on facts. Dr. Robb testified that breasts the size of tennis balls “would have been impossible to miss” during an examination for chest pain, given the four areas on the chest where a doctor would listen to the heart. Dr. Moltich agreed that if a patient had tennis ball size breast tissue, an examiner would have noticed it and recorded it. The appellate court noted that neither Dr. Robb nor Dr. Moltich testified that W.C. did not have breasts the size of tennis balls during his 2013 examination. Instead, they responded to hypothetical questions about whether an emergency room doctor would have noticed breast tissue of that size during an examination for chest pain. The hypothetical had a factual basis because Dr. Solomon had testified that an emergency room examination for chest pain would not necessarily discover breast tissue the size of tennis balls. W.C. also complained that neither doctor mentioned in their expert report that breast tissue the size of tennis balls would have been discovered during the emergency room examination. The appellate court rejected that argument since the defense experts gave that testimony in response to Dr. Solomon’s testimony. Pennsylvania law does not require an expert’s opinion offered in response to another expert’s opinion to be disclosed in an expert report. W.C. also argued that the trial court improperly admitted Baker’s opinion that Risperdal did not cause W.C.’s breasts to grow. She attributed the breast growth to rapid weight gain and testified that Risperdal could not have caused it because he stopped taking it in 2007 and any prolactin in his body should have returned to normal by 2013. Prolactin is a protein that enables breasts to make milk. W.C. objected that Baker, a physician’s assistant, was not qualified to give expert testimony about whether Risperdal caused W.C.’s breast growth. W.C. also objected that Baker was not designated as an expert and should not have been allowed to give expert testimony. The trial court ruled that Baker was providing a lay opinion, not an expert opinion. The appellate court disagreed. In Pennsylvania, a fact witness (as opposed to an expert witness) is permitted to testify about opinions based on the witness’ perception, provided that they do not require specialized knowledge. The relationship between Risperdal and breast growth, and whether prolactin would “return to normal” after a patient stops taking Risperdal, are opinions based on specialized knowledge. Lay witnesses will rarely understand protein levels in a body or how Risperdal might increase those levels. The appellate court also rejected the argument that even if Baker rendered an expert opinion, she was qualified as a physician’s assistant to give that opinion. Baker was not designated as an expert and the trial court made no finding that she was qualified to testify as an expert. The trial court therefore erred by admitting her opinion testimony as to the cause of W.C.’s breast growth. Finally, the appellate court rejected Janssen’s argument that Baker’s testimony had no impact on the verdict, in light of the expert testimony. Juries give special attention to opinions rendered by treating professionals. While retained experts might be viewed as “hired guns,” a treating professional is more likely to be seen as unbiased. Baker was the only treating professional to offer an opinion that Risperdal did not cause W.C.’s breast development. Since her inadmissible opinion may have influenced the verdict, W.C. was entitled to a new trial.